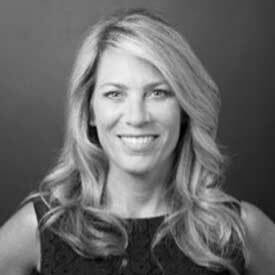 Kelly Wenzel joined Amazon in January, 2018 as Director, Global Marketing for Amazon Pay. She owns the go-to-market strategy to fuel growth, awareness, and demand among merchants, consumers, and e-commerce channel partners. She is responsible for brand and content strategy, product marketing, lead generation, and channel and field marketing. A career B2B/SaaS marketer, Kelly served as CMO for five high growth startups, including one of Fortune’s Top 10 Places to Work in America. She has held executive marketing roles in the supply chain, digital advertising, infrastructure software, and marketing technology sectors. Kelly is a transformational leader with a growth mindset and passion for mentoring. She sits on the Board of She Runs It, a non-profit focused on advancing women leaders in marketing, media, and technology. As a certified Conscious Leadership coach, she is committed to bringing wisdom, insight, and connection in to personal, team, and corporate development.